Today Microsoft announced that Gears of War 4 master-disk had been sent to the assembly line. 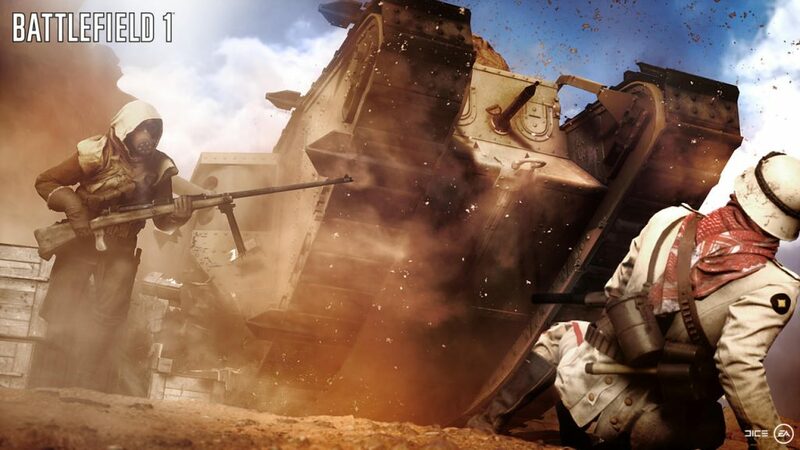 Electronic Arts published systemspecs for Battlefield 1. The game continues the trilogy, the main charachter of which, Marcus Fenix, is now the father of our protagonist. We wouldn’t want to be a mere assertion, but it looks like there’s going to be a painful death. The game series started in 2006, when the first part was released for Xbox 360 (and for PC a year later). Gears of War is one of the main exclusive games for Microsoft. The protagonist does not only have to cut through Locust hordes, cutting them with his under-barrel mounted chainsaw (thank you, Cliff Bleszinski), but also to use tactics and work in co-op. The gamedesigner himself admitted that his inspirations were Kill Switch, Bionic Commando and Resident Evil 4. Gears of War 4 is to get onto shelves October 11, this year. EA announced system specs for Batlefield 1. As usual, we will need at least Windows 7 x64 and also 50gb free disk space. GPU — NVIDIA GeForce GTX 660 or AMD Radeon HD 7850. GPU — NVIDIA GeForce GTX 1060 or AMD Radeon RX 480. Battlefield 1 released date is 21 October for PS4, Xbox One and PC.